Ter Waele Hayat has an excellent body with extreme movement, attitude and charisma. 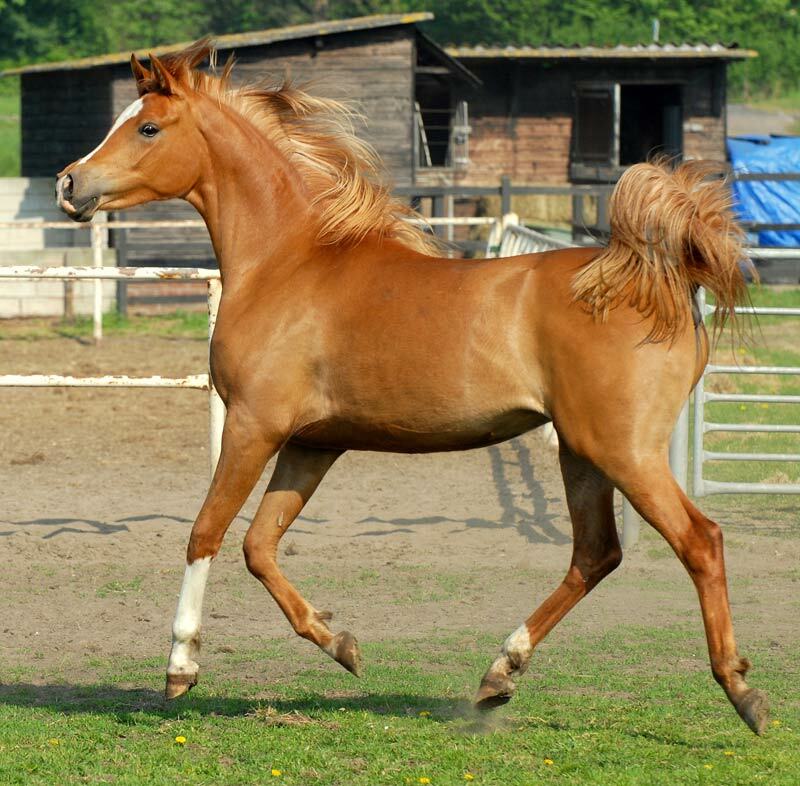 AJA Shakakhan is the most “look a like”-son of his father, Scottsdale- and National USA Champion Stallion FS Bengali, who is a son of World- and European Champion Kubinec. AJA Shakakhan, is bred by AJA Arabians in the United Kingdom, was bought by the Kossack Stud in Holland and leased to the Russian National State Stud Tersk, where he was Chief Sire in 2004 and 2005; his first Russian born foals, in 2005 are of superb quality; in 2005 he bred the best mares in Tersk Stud; the only offspring in the United Kingdom was National Champion Foal in 2004.